On 31 March 2010, Arsenal captain Cesc Fàbregas scored the equalizing goal against Barcelona in the Champions League quarterfinal. And he did it with a broken leg. Fàbregas, who joined Arsenal in 2003 after five years at Barcelona's youth academy, had been the subject of longstanding transfer rumors linking him with a return to his former club, adding a lot of spice to the match-up. Barcelona, as the reigning champions, were heavy favorites, but the Gunners managed to hold them to a scoreless draw until the break. Less than one minute after the restart, however, a long pass went over the Arsenal backline to a racing Zlatan Ibrahimović, who beat keeper Manuel Almunia with a lobbed ball to the far post. He then doubled the lead in the 59th minute, after another overhead ball left him one-on-one with Almunia. But Arsenal midfielder Theo Walcott narrowed the gap ten minutes later with a precise finish. As Arsenal pushed forward for an equalizer, Barça's Carles Puyol fouled Fàbregas in the box in the 85th minute. Fàbregas stepped up to the spot and converted the ensuing penalty, then immediately afterward started limping. It appeared that he pulled a muscle, but scans later revealed that Puyol's foul had resulted in a small fracture in his right fibula. The injury forced Fàbregas to miss the return leg, which Barcelona won 4-1. He remained with Arsenal for one more season, then transferred to Barça in August 2011 for £29 million. He left Barcelona in 2014 for Chelsea, his current club. On 30 March 2010, Lyon and Bordeaux met for the first all-French contest in the Champions League, with Lyon emerging as 3-1 winners. Bordeaux, the reigning Ligue 1 champions, were again at the top of the table, four spots above Lyon, and had beaten them in the league back in December. The Girondins had also gotten off to a flying start in the Champions League, winning six of their first seven matches to reach the quarterfinals (the other was a 1-1 draw with Juventus in the group stage). There, they met Lyon, who had just eliminated Real Madrid in the Round of 16. The teams' meeting at Lyon's Stade Gerland was a first, as French teams had met five times previously in UEFA competitions, but never before in the Champions League. Lyon marked the occasion by taking a 10th-minute lead with a goal from striker Lisandro López (pictured). Not to be outdone, Bordeaux forward Marouane Chamakh drew the visitors level four minutes later. Lyon regained the lead in the 32nd minute with a goal from Michel Bastos, then sealed the win with a 77th-minute penalty kick from López. That final goal proved to be crucial, as Bordeaux won the second leg 1-0, but lost 3-2 on aggregate. On 29 March 2000, Wales played their first match at the new Millenium Stadium in Cardiff. And lost 1-2. Built on the site of the old national ground, Cardiff Arms Park, construction on the stadium finished in the summer of 1999 at a total cost of £121 million. The Welsh rugby team hosted the first major event there, beating South Africa in a friendly. The football team's turn came the following spring, as they hosted Finland in a friendly of their own. A crowd of 65,000 showed up for the event, setting a new national team record (though it has since been broken). Unfortunately for the home fans, however, Finnish midfielder Jari Litmanen (pictured, battling Wales' Robbie Savage) scored the opening goal in the 21st minute. Welsh striker Nathan Blake found the back of the net in the 42nd minute, but it was the wrong net, putting the Finns up 0-2. Ryan Giggs pulled one back in the 60th minute, but that was the last goal of the day and Finland left as 1-2 winners. On 25 March 1914, Aris FC, owners of an impressive home unbeaten streak in UEFA competition, formed in Thessaloniki, Greece. Taking their name from the Greek god of war, they helped found the regional Macedonian Football Clubs Association in 1923 and went on to win that league's inaugural title in 1924. For the 1927-28 season, the regional Greek leagues started an official Panhellenic Championship (replacing an earlier unofficial tournament), with Aris emerging as the first winners. They repeated as national champions in 1932 and 1946 and also won another thirteen regional titles up through 1959. They have not seen as much success since, however, with their only other major honor coming in 1970 when they won the Greek Cup over local rivals PAOK. Despite the lack of silverware, however, Aris have regularly qualified for European competition, leading to their remarkable performance at their Kleanthis Vikelidis Stadium. After losing to Ujpest there in the 1968 Inter-Cities Fairs Cup, Aris have gone unbeaten in 26 consecutive home games in the Inter-Cities Fairs Cup, the Cup-Winners' Cup, the UEFA Cup, and the Europa League. That run includes wins over Benfica, Red Star Belgrade, and Atletico Madrid, as well as draws with Chelsea, Roma, and Bayer Leverkusen. The most recent match in the streak was a scoreless Europa League draw with Manchester City in 2011 (though Aris lost the away leg 3-0). On 24 March 2012, Real Madrid's Cristiano Ronaldo scored his 100th La Liga goal, hitting that milestone faster than any other player in club history. Ronaldo was in his third La Liga season, having joined Real Madrid from Manchester United in a July 2009 deal worth £80 million. He scored 26 league goals that first season, then 40 in the next. Despite that prolific output, however, Real Madrid finished as runners-up to Barcelona both seasons. He got off to another productive start in 2011-12, with 33 goals in Madrid's first twenty-eight league games to bring his overall tally to 99 while the club secured their spot at the top of the table. For their next match, Madrid hosted Real Sociedad at the Bernabéu and took the lead with a sixth-minute goal from striker Gonzalo Higuaín. Then in the 32nd minute, Ronaldo received the ball on the left and raced past the defense, squared up against the keeper, and sent a right-footed shot just inside the far post. It his 100th La Liga goal in just his 92nd game, beating the previous club record of Ferenc Puskás, who needed 105 games to get to that mark. But it fell just short of the overall record, set by Real Oviedo's Isidro Lángara, who did it in 90 games. Ronaldo went on to score a second as Madrid won 5-1, then proceeded to take the league title. 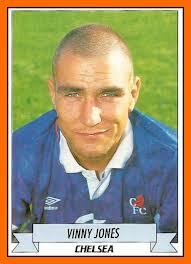 On 21 March 1992, Chelsea midfielder Vinnie Jones set an English football record by getting a yellow card after only three seconds against Sheffield United. Jones had previously established a reputation for aggressive play and a casual attitude toward the rules of the game, most notably during a three-year spell with Wimbledon's FA Cup-winning "Crazy Gang." But he left there in 1989 and spent a season with Leeds where his disciplinary record improved--he got only three yellows all season long. In 1990, he moved to Sheffield United, then moved again a year later, joining Chelsea in 1991. While there, he continued to toe the line, but slipped up in a home match against his former club, Sheffield United, to earn the record-setting caution. To make matters worse, United went on to win, 1-2. Jones returned to Wimbledon, playing there from 1992 to 1998, then retired in 1999 after a season with Queens Park Rangers. Afterward, he took up acting, usually in roles complemented by his playing reputation. On 20 March 1991, a European Cup quarterfinal between Red Star Belgrade and Dynamo Dresden was halted in the 75th minute due to rioting in the stands. It never resumed and went into the books as a 3-0 win for Red Star. Red Star won the first leg 3-0 in Belgrade two weeks earlier, so Dresden went into the second leg with a difficult task ahead of them. But they got a lift when the referee awarded them a handball penalty in the third minute, which striker Torsten Gütschow duly converted. The two sides exchanged several chances in the remainder of the first half, with Red Star getting the better looks. Only outstanding play from Dresden goalkeeper Thomas Köhler kept the hosts ahead at the break. Red Star finally scored in the second half, with winger Dejan Savićević evading four defenders and firing past a fifth from close range to draw the visitors level in the 51st minute. Twenty minutes later, they took the lead with a strike from forward Darko Pančev, who fired the ball between Köhler's legs and into the far corner of the net. That was too much for the home supporters--when the referee awarded Red Star a corner kick shortly afterward, the Dresden fans began hurling objects at both the Red Star kicker and the assistant referee. After a few futile attempts to calm the fans, referee Emilio Soriano Aladrén ordered the teams off the pitch and canceled the remainder of the game. Although Red Star were leading 2-1 at the time, UEFA later awarded them a 3-0 victory and banned Dresden from UEFA competitions for the following season. Red Star went on to beat Bayern Munich in the semifinals and then took the trophy with a win over Marseille on penalties in the final. 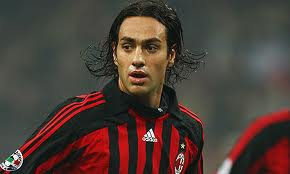 On 19 March 1976, four-time Serie A Defender of the Year Alessandro Nesta was born in Rome. He started his career at Lazio, joining their youth academy in 1985. They tried him at striker and midfielder before establishing him at center back. In 1993, he signed a professional contract and became an established starter during the 1995-96 season, making a total of 28 appearances. By 1997, he had become Lazio's captain and led the team to the 1998 Coppa Italia, followed by the 1999 UEFA Cup Winners' Cup. In 2000, he won a second Coppa Italia that was paired with the club's first league title since 1974. That season also saw him win the first of four consecutive Serie A Defender of the Year awards. In the summer of 2002, he moved to AC Milan in a deal worth €31M. In ten seasons there, he won another pair of Scudettos (2004, 2011), a Coppa Italia (2003), two Champions League titles (2003, 2007), and the FIFA Club World Cup (2007). Along the way, he made 78 appearances for Italy between 1996 and 2006, though he missed the 2006 World Cup Final due to injury. Nesta left Milan in 2012 and played two seasons for the Montreal Impact, then joined Chennaiyin FC for one season before retiring in 2014. He then moved into management, taking charge of Miami FC for the 2016 and 2017 seasons. On 17 March 2007, Tottenham beat Watford with help from a rare goal from keeper Paul Robinson, who scored from 88 yards out. Spurs were the clear favorites, having risen to eighth in the table after three straight wins, while Watford were one spot off the bottom by virtue of goal differential. But, playing before a crowd of over 36,000 at White Hart Lane, Spurs took longer than expected to take control of the game, eventually taking a 1-0 lead with a 41st-minute goal from midfielder Jermaine Jenas. The game was still in the balance midway through the second half when Robinson delivered his unlikely goal. Taking a free kick about five yards outside his own box in the 63rd minute, he sent the ball over the entire Watford defense. It came down in front of keeper Ben Foster, but bounced over his head and into the goal. It was the first (and, to date, only) goal of his career. Tottenham stretched the lead to 3-0 with a goal from Hossam Ghaly in the 85th minute, but Watford cut the final margin to 3-1 with an 89th-minute strike from Darius Henderson. Labels: Darius Henderson, Hossam Ghaly, Jermaine Jenas, Paul Robinson, Tottenham Hotspur F.C., Watford F.C. On 18 March 1904, the Austrian Football Association formed in Vienna and soon controlled one of Europe's most dominant teams. The national side actually predated the creation of the association, playing a three-game series with Hungary between October 1902 and October 1903, but the establishment of the new governing body opened the door for them to join the newly-founded FIFA in 1905. They chose not to participate in the first World Cup in 1930, despite being one of Europe's strongest teams. Under manager Hugo Meisl, they played an unbeaten streak of fourteen matches from 1931 to 1932, earning the nickname "Wunderteam," then finished fourth in the 1934 World Cup. 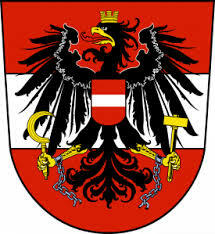 With Germany's annexation of Austria in 1938, the Austrian team ceased to exist as a separate entity until the end of World War II. During qualification for the 1950 World Cup, they withdrew, claiming that the re-formed team was too inexperienced to compete in the tournament. But four years later, they finished third, which remains their best finish in a World Cup. Since then, they have failed to recapture their past glory, participating in only four of fourteen World Cups from 1962 to 2014. 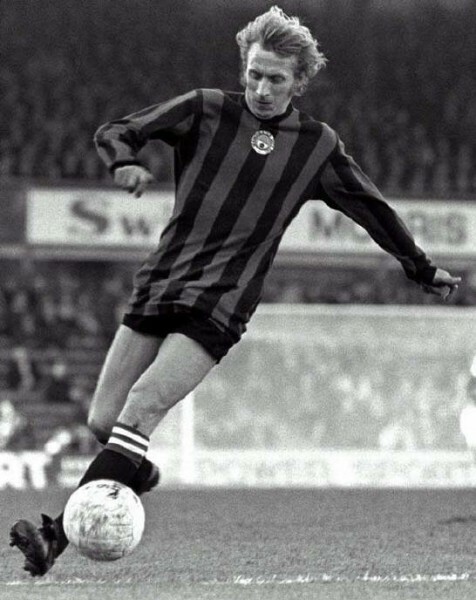 On 15 March 1960, Manchester City paid a club record fee of £55,000 to acquire Denis Law for the first--but not last--time. Twenty years old at the time, Law had spent the previous five years at Huddersfield Town, who were in the top flight when he signed for them in 1955, but were relegated to Division Two the following year. 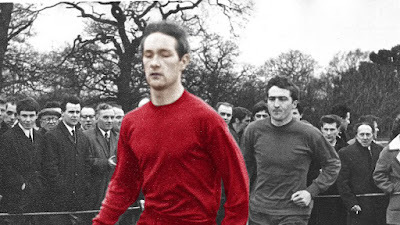 The drop opened up playing time for Law, who earned his first start in December 1956 and went on to score a total of 19 goals in 91 appearances for the Terriers. That was enough to attract the interest of several clubs, including Manchester United and Liverpool (whose manager, Bill Shankly was the boss at Huddersfield Town from 1956 to 1959). But City got his signature in March 1960 for £55,000, more than doubling the club's previous record of £25,000 set in 1950 when they bought Roy Paul from Swansea City. Law spent a little over one year at City, scoring 21 goals in the 1960-61 season. In the summer of 1961, he left for Torino, who paid a then-British record fee of £100,000. He returned to Manchester one year later to play for United, spending eleven seasons at Old Trafford, where he was named the 1964 European Player of the Year. But he rejoined City on a free transfer in 1973 for his last season. While there, he scored his last competitive goal in an April 1974 match that helped seal United's relegation that year. On 14 March 1974, Zaire won their second Africa Cup of Nations, beating Zambia 2-0 in a replay. Zaire won their first cup in 1968 when, playing under the name Congo-Kinshasa, they beat Ghana 1-0. A first-round exit followed in 1970, then a fourth-place finish in 1972. 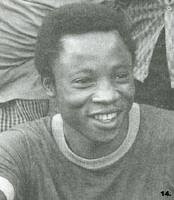 In 1974, they reached the final in large part due to midfielder Ndaye Mulamba (pictured), who scored five goals in the earlier rounds, including the match-winner in their 3-2 victory over Egypt in the semifinals. He had a pair of goals in that game, making it his second brace of the tournament. He got a third in the originally-scheduled final against Zambia, played at the International Stadium in Cairo on 12 March. It ended 2-2 after extra time to force a replay. When the teams reconvened in Cairo two days later, Mulamba got his fourth brace, scoring in the 30th and 76th minutes to lead Zaire to a 2-0 win. His 9-goal total was the best of the tournament. Zaire, now known as the Democratic Republic of the Congo, have never returned to the final, though they did finish in third place in 1998. On 13 March 2011, attendees at Milan's match against Bari witnessed a warm-up routine that seemed unreal--because it was. Milan, who were sitting at the top of the Serie A table while riding an eleven-game unbeaten streak, hosted Bari, the league's bottom team, at the San Siro. While the crowd filtered in, players from both teams took the pitch to warm up. And that's when things got weird. Instead of the usual warm-up routine, the players engaged in some eccentric activities. Several of them started dancing, with Gennaro Gattuso pairing up with the referee for a bit of ballet. Clarence Seedorf started boxing and Zlatan Ibrahimović tossed a frisbee around. One player donned a swim cap and pretended to swim, while another lay down on the pitch with a newspaper. As it turned out, all of the players were look-alikes provided by Italian newspaper Gazzetta dello Sportas a publicity stunt. The match itself was no less interesting, as Bari managed a 1-1 draw thanks in part to Ibrahimović's ejection for punching Bari's Cartellino Rosso. It wasn't much help for Bari, though, who ended the season at the bottom of the table while Milan won the title. On 12 March 1900, Arsenal recorded their record league victory, a 12-0 win over Loughborough Town. The match was a Second Division contest played at Arsenal's Manor Ground in Plumstead, southeast London. Arsenal, who were known at the time as Woolwich Arsenal, had beaten Loughborough 2-3 away nine days earlier, but the teams had some history--Loughborough had handed them their record league defeat, an 8-0 away loss, in December 1896. Since then, Arsenal hired manager manager Harry Bradshaw, who took over in August 1899 and began to improve the club's fortunes. Bradshaw was on the sideline at the Manor Ground on 12 March when Arsenal got their revenge by pounding Loughborough 12-0. As it turned out, that was Loughborough's last season in the league. They finished dead last in the table and were not re-elected in the spring, then financial woes forced their dissolution later that year. The win matched Arsenal's overall record, set in an FA Cup match against Ashford United in 1893, but was beaten by a friendly against a Paris XI in 1904, which Arsenal won 26-1. But the 12-0 victory over Loughborough remains their largest league win. 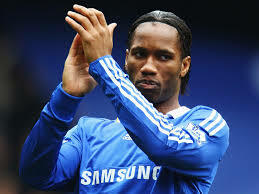 On 11 March 1978, Didier Drogba was born in Abidjan, Côte d'Ivoire. He went on to become one of the world's dominant strikers. Growing up, he spent many years living in France and it was there he started his professional career, joining the youth program at Levallois in 1996, then moving to Le Mans in 1997. In 1998, he signed a professional contract with Le Mans and played there for three and a half years, scoring a total of only 15 goals in 75 appearances before moving to Guingamp for £80,000 in the winter transfer window. The move sparked his career. In his first full season there, he scored 21 goals, attracting the interest of Marseille who signed him for £3.3M in the summer 2003. After only one remarkable season at Marseille, in which he scored 32 goals across all competitions and was named the Ligue 1 Player of the Year, he moved again, this time to Chelsea who paid £24M. In eight seasons with Chelsea, he scored 157 goals in 341 appearances, making him the fourth-highest goalscorer in club history. He also collected a massive haul of silverware, including three league titles, four FA Cups, and one Champions League trophy. Along the way, he also captained the Côte d'Ivoire national team and is their all-time leading scorer with 65 goals in 104 appearances. After leaving Chelsea at the end of his contract in 2012, he spent time with Shanghai Shenhua (2012-13) and Galatasaray (2013-14) before returning to Chelsea for the 2014-15 season. He then played for the Montreal Impact (2015-16) before joining his current club, Phoenix Rising, as player-owner in 2017. 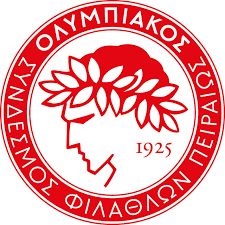 On 10 March 1925, Olympiacos formed from the merger of two other clubs and have since become Greece's most successful team with a record 44 league titles. The two previous clubs, both based in Piraeus, dissolved in order to create a unified club for the area, which took the name Olympiacos Syndesmos Filathlon Piraios ("Olympiacos Club of Fans of Piraeus") and chose red and white as their colors. The first Greek national league began competition with the 1927-28 season and Olympiacos quickly became the country's dominant club, winning their first title in 1931 and taking five more in the next seven seasons. They have won multiple titles in each decade, including an impressive run starting in 1997 that has seen them win all but two of the league titles since then (they finished as runners-up in 2004 and 2010). They have also won a record 27 Greek Cups. 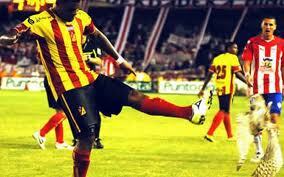 They have a strong rivalry with Panathinaikos, known as the Derby of the Eternal Enemies. Olympiacos have had the better of it, winning 80 games to 50 for Panathinaikos, with 67 draws. On 9 March 2005, Clint Dempsey made his first start for the United States in a 3-0 win over Colombia. The US went up 1-0 with a 25th-minute goal from Dempsey's New England Revolution teammate, Pat Noonan, with an assist from another Revolution player, Steve Ralston. Ralston also assisted on the second goal, scored by Marshall in the 33rd minute. Clint Mathis completed the win with a third goal in the 66th minute. While Dempsey did not score that day, he has since gone on to net a total of 57 goals in 141 appearances, making him the team's all-time top scorer. 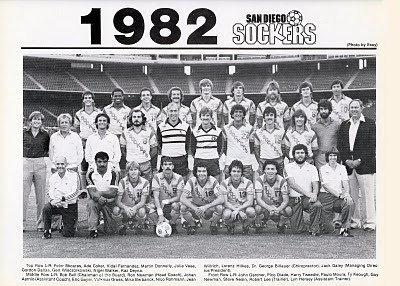 On 8 March 1982, the San Diego Sockers won the first of their 10 indoor championships, beating the Tampa Bay Rowdies 10-5. It was the fifth NASL indoor season, with thirteen of the fourteen teams from the league's earlier outdoor season taking part. San Diego had lost in the outdoor playoffs to the Cosmos, who went on to win that title, while Tampa Bay had failed even to make it into the postseason. Tampa Bay qualified for the indoor playoffs, however, with the league's third-best record (behind Edmonton and Chicago), then advanced to the final with wins over Montreal and Tulsa. San Diego, who had finished fourth overall, reached the final by beating Vancouver and Edmonton. The final was played over two legs, with San Diego winning the first 9-7 on 3 March. Five days later, they dominated the second leg, taking a 5-0 lead in the first half en route to the 10-5 final score. San Diego striker Juli Veee, the league's top scorer that season, got a hat-trick. The Sockers went on to win four more straight titles between the NASL and MISL, then another five between 1988 and 1992. On 7 March 2007, Bayern Munich's Roy Makaay scored the Champions League's fastest goal when he netted against Real Madrid after only 10 seconds. The match was the second leg of the Round of 16. Real Madrid won the first leg at the Bernabéu 3-2, but Bayern's two away goals would prove to be crucial. Bayern hosted the second leg at the Allianz Arena, where a crowd of 69,500 turned out to watch Makaay's record goal. Real Madrid took the opening kick and quickly sent it back to left back Roberto Carlos, whose poor touch allowed Bayern's Hasan Salihamidžić to steal it away. He slipped behind the defensive line and centered the ball for Makaay, surging through the middle. The striker collected it and beat keeper Iker Casillas with a calm finish with just 10.12 seconds on the clock. The goal crushed the previous record of 20.07 seconds, set by Arsenal's Gilberto Silva in a 2002 match against PSV Eindhoven. The match ended 2-1 to Bayern after they got a second-half goal from Lucio (66') and Madrid got a late penalty from forward Ruud van Nistelrooy (83'). Even at 3-3 on aggregate, Bayern advanced on away goals (but lost to Milan in the quarterfinals). 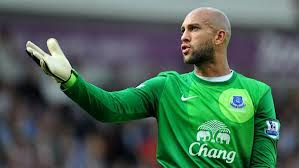 On 6 March 1979, United States and Colorado Rapids goalkeeper Tim Howard was born in New Brunswick, New Jersey. He started his career in 1997 with the North Jersey Imperials in the United States Independent Soccer Leagues, but moved to Major League Soccer in 1998 with the MetroStars. After making limited appearances in his first few seasons there, he claimed the starting job in 2001. Later that year, he became the youngest player to receive the league's Goalkeeper of the Year award. In 2003, Manchester United signed him for $4 million to take over from Fabien Barthez as the club's first-choice keeper. But despite a strong start, winning the Community Shield with a penalty save against Arsenal, he struggled in his next two seasons, leading to his departure to Everton on loan in 2006. He shined at Everton, making his move permanent in a 2007 deal worth a reported £3 million. In January 2012, he even scored a goal, as a long clearance was pushed along by the wind into the opposing net, making him only the fourth keeper in Premier League history to do so. He remained their starting keeper until 2016, when he returned to the US to play for the Colorado Rapids. In addition to his club duties, Howard has been a regular starter for the United States since the 2007 CONCACAF Gold Cup and has, to date, earned 121 caps. On 5 March 1870, London hosted the world's first international match, with an English team facing a group of London-based Scottish players. It ended in a 1-1 draw. C.W. Alcock of Old Harrovians--FA Secretary and later founder of the FA Cup--organized the match as the first of a series of five showcases between the two countries and captained the English side. 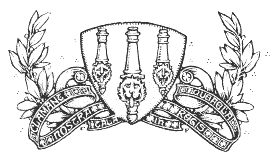 The Scottish eleven was chosen by Arthur Kinnaird and captain James Kirkpatrick and also included Old Etonians' William Gladstone, whose father later became Prime Minister. The teams met at the Oval, muddied from rain, and played through a scoreless first half. After the break, they switched sides, which a post-match report described as a newly-implemented rule. Late in the second half, Alcock moved his goalkeeper up the field, leaving an opening for Scotland's Robert Crawford to score the opening goal in the 75th minute. But Alfred Baker found the net for England in the 89th minute to earn a 1-1 draw. 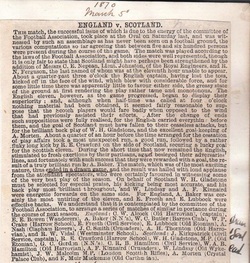 Four more representative matches followed between November 1870 and February 1872, ending in one more draw and three wins for England. But because the Scottish teams for all five matches were drawn exclusively from London, FIFA does not recognize them as official internationals. On 4 March 2012, Mamelodi Sundowns recorded the biggest win in South African history, beating Powerlines 24-0. 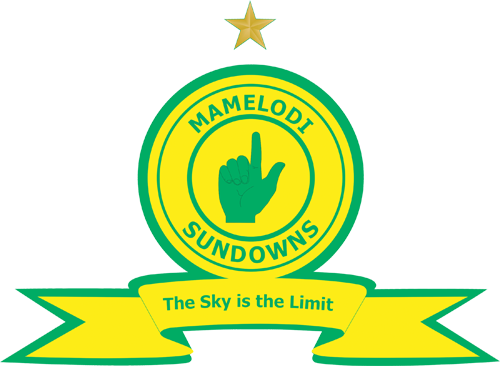 The match came in the Round of 32 in South Africa's major domestic cup competition, the Nedbank Cup, where top flight Sundowns, winner of the cup in 1998 (when it was known as the Bob Save Super Bowl) and 2008, faced off against amateur side Powerlines. It was effectively over by halftime, with Sundowns up 10-0, but they continued to pack in the goals in the second half. Their leading scorer was Hlompho Kekana with seven (7, 15, 31, 50, 61, 78, 80), followed by Nyasha Mushekwi with six (24, 41, 43, 45+1, 45+2, 52). Richard Henyekane added five (12, 20, 56, 72, 74), while they got a brace each from Samuel Julies (54, 76), Elias Pelembe (65, 70), and Lebohang Mokoena (71, 90+1). The scoreline crushed the previous South African record of 16-0, reached twice in the cup by AmaZulu in 1976 and 1986. But still fell far short over the world record of 149-0, set by Madagascar's AS Adema over Stade Olympique Emyrne in 2002. Sundowns eventually reached the 2012 final, where they lost to Supersport United 2-0. 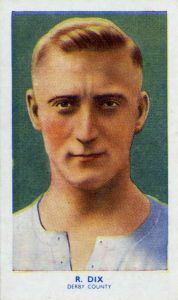 On 3 March 1928, Bristol Rovers striker Ronnie Dix became the Football League's youngest goalscorer when he found the net at the age of 15 years, 180 days. Playing in his first professional season, Dix, who was born in Bristol, scored his record-setting goal in a Third Division South match against Norwich City, which Rovers won 3-0. It was one of the few highlights for them that season, though, as they finished 19th out of 22 teams. Dix remained with Bristol until 1932, making 100 league appearances and scoring a total of 33 goals. He then played for Blackburn Rovers, Aston Villa, Derby County, Tottenham Hotspur, and Reading before retiring in 1949 (he also earned a lone cap for England in 1939). He remains the Football League's youngest goalscorer. 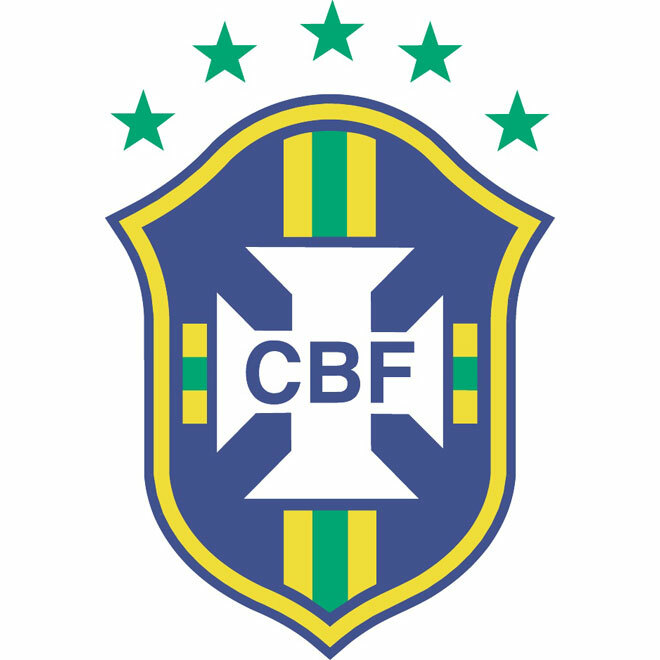 On 2 March 1998, 2-time winners Brazil started their third South American Women's Championship in style with a record 15-0 win over Peru. 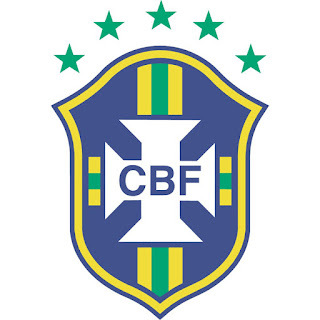 The team had won both of the previous tournaments as hosts, in 1991 and 1995. During the latter, they set their record win, beating Bolivia 15-0 in the group stage, and were looking to repeat that success when Argentina hosted it in 1998. And repeat it they did, matching the record with a win over Peru in the opening match of their 1998 campaign. They followed it with impressively lopsided victories over Colombia (12-1), Venezuela (14-0), and Chile (7-0) to close out the group stage with a staggering goal differential of +47. In the knockout rounds, the margins narrowed slightly, with an 11-1 win over Ecuador in the semifinals and a 7-1 win over hosts Argentina in the final that delivered their third consecutive trophy in the competition. On 1 March 1921, Jules Rimet became FIFA's third president and remains their longest-serving one, holding the office for 33 years. A French attorney, Rimet was involved in FIFA's founding in 1904, but the presidency first went to his countryman, Robert Guérin. Guérin served for only two years and was succeeded by Englishman Daniel Woolfall. Rimet, meanwhile became the president of the French Football Federation in 1919 and remained in that position when he took over from Woolfall two years later, holding the two positions jointly for over twenty years. When he ascended to the FIFA presidency, the organization had only 12 members, which he raised to 85 before the end of his term. But one of his most significant contributions was the establishment of the World Cup, which he proposed in 1928 and was first played in 1930. The World Cup trophy was renamed in his honor in 1946. 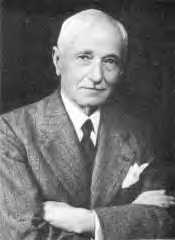 Rimet resigned as the FFF president in 1942, but remained FIFA president until 1954. His 33-year tenure remains the longest in FIFA history, with João Havelange's 24-year term a distant second. In 1956, two years after his retirement, Rimet passed away, just two days after his 83rd birthday. 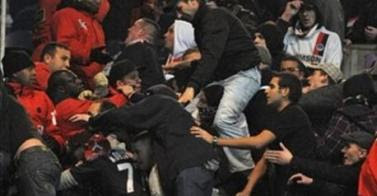 On 28 February 2010, rival groups of PSG supporters turned violent during a match against Marseille, resulting in twenty arrests and one fatality. PSG hosted the Ligue 1 match looking for some redemption, having already lost at Marseille earlier in the season. But Marseille winger Hatem Ben Arfa was the first to score, driving the ball home in the 15th minute. The game remained close into the second half, but the visitors got additional goals from Lucho González (54') and Benoît Cheyrou (71') to finish the day at 0-3. The day was even uglier for PSG in the stands and outside the Parc des Princes, where rival supporter groups the Boulogne Boys and Supras Auteuil clashed before, during, and after the game. The police used tear gas to help quell the riot and ended up arresting twenty people. Several people sustained minor injuries, but one, a 38-year old man identified only as "Yann L," suffered a serious head injury that put him into a coma. He died about two weeks later. PSG condemned the actions and decided not to sell tickets for their away matches for the remainder of the season. Labels: Benoît Cheyrou, Hatem Ben Arfa, Lucho González, Olympique de Marseille, Paris Saint-Germain F.C. On 27 February 2011, a Colombian league match between two struggling teams drew global attention after one player kicked an owl. Popular Junior hosted the top flight match against Deportivo Pereira with both teams situated firmly in the bottom of the table. At one point, an owl that served as an unofficial mascot for Junior wandered onto the pitch, where it was soon struck by the ball when a Deportivo player attempted a low clearance. The referee stopped play a few seconds later, at which point Deportivo's Luis Moreno walked over to the injured owl and kicked it off the pitch. Afterward, Moreno apologized to Junior and their supporters, saying that he was not trying to hurt the owl, but wanted only to see whether it could still fly. The league later determined that Moreno's action was a deliberate provocation of the home fans and suspended him for two games. They also fined him $560. The owl was sent to a veterinarian, but died from its injuries. 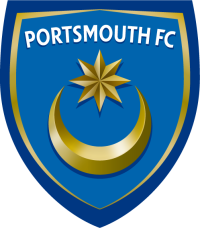 On 26 February 2010, Portsmouth earned the dubious distinction of becoming the first Premier League club to go into administration. The move came in the middle of an already difficult season for the two-time league champions and 2008 FA Cup winners. Under previous manager Paul Hart, they had hit the bottom of the table with a loss to Manchester City at the end of the previous August. Despite former Chelsea manager Avram Grant stepping in to replace Hart in November, they remained dead last for the remainder of the season. The club's situation was exacerbated by financial problems. Despite the sale of the club to Saudi Arabian businessman Ali al-Faraj in October 2009, Portsmouth failed to pay their players in November and December. Then in February, after al-Faraj failed to make a loan payment to Hong King businessman Balram Chainrai, the club changed hands again, with Chainrai becoming the new owner. Concerned by the club's debts, estimated to be about £135 million, Chainrai voluntarily placed the club into administration in order to avoid liquidation.The move did little to help the club's Premier League fortunes, however, as the league docked them nine points which virtually guaranteed their relegation at the end of the season. They dropped into the Championship for the 2010-11 season. In February 2012, they went into administration again and were later relegated into League One, then dropped into League Two the following year. They returned to League One in 2017 and are currently sitting ninth in the table. Labels: Ali al-Faraj, Avram Grant, Balram Chainrai, Paul Hart, Portsmouth F.C. On 25 February 1967, Highgate United's Tony Allden was struck by lightning in an FA Amateur Cup quarterfinal against Enfield. He died the next day. The 22-year old, 6'1" center half helped propel the small Worcestershire Combination club into the quarterfinals of the tournament where they hosted Enfield, a Isthmian League side sitting two levels above Highgate in the English football pyramid. Enfield were clear favorites, but the stands were humming with anticipation from a capacity crowd of over 2,000 as the teams took the pitch under a heavy downpour. But at 3:27 pm, with just under half an hour played, a bolt of lightning struck Allden, who was standing in the center circle. According to one report, Allden was left "crumpled in an aura of blue smoke." Two other players, brothers Eric and Roy Taylor, also collapsed due to shock. All three were rushed to the hospital where the Taylors soon recovered, but Allden did not. He passed away from his injuries the following afternoon. Because of media attention, the replay drew a crowd of over 30,000, forcing its move away from Highgate's Tythebarn Lane to the larger Villa Park, where Enfield won 0-6 (they went on to win the cup over Skelsmerdale United in a final reply at Manchester City's Maine Road ground). That April, a memorial match was played in Allden's honor between a Midlands XI and an International XI. He was also recognized with the creation of the Tony Allden Memorial Cup. Celebrating football's milestones, from the mundane to the magnificent (though we do try for more of the latter).